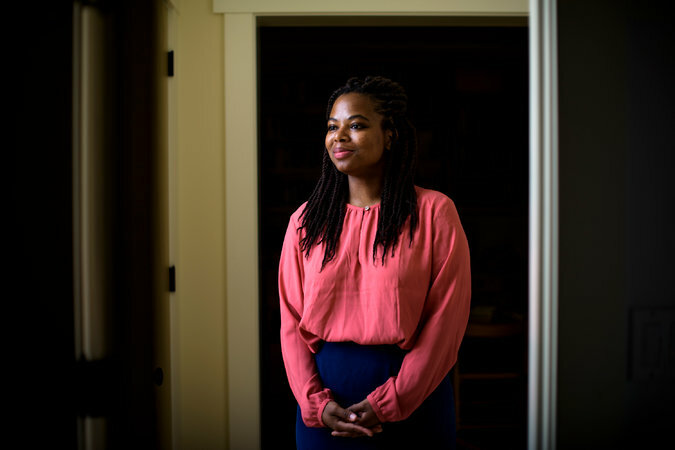 One of the people I greatly admire is Khadijah Williams, a young woman who was homeless for much of her childhood. Khadijah bounced from home to home, shelter to shelter, from the time she was 6. “I can’t count how many times I’ve been forced to move,” she recalls. Ultimately, Khadijah found a home — because she won a scholarship to Harvard, enabling her to move into a dormitory. Now 25, she’s working for the city government in Washington, D.C., and one of her tasks is helping homeless kids. But Khadijah’s trajectory is exceptional. The United States has 64,000 families who are homeless, including 123,000 children, and many will be permanently harmed by the experience. We have growing evidence that traumas like homelessness can flood a child’s brain with a stress hormone, cortisol, and impair brain development. In a year in which there finally is serious talk about inequality, the ultimate poverty is lack of shelter. And the good news is that in the last decade or so, we’ve figured out what works to address it; the problem is not inevitable. The Housing First approach, which gets people quickly into permanent housing and then offers support services to keep them there, seems particularly cost-effective. Family homelessness is down almost one-fifth since 2010, and veteran homelessness is down much more — two states say they have functionally ended homelessness of veterans. Another reason for optimism: With almost no fanfare, President Obama’s budget proposal includes $11 billion over 10 years, which he says would end family and youth homelessness. This is a step to end a level of homelessness that just isn’t tolerated in other developed countries. So if we can have a robust national debate about the way Donald Trump’s campaign manager grabbed a reporter’s arm, let’s also muster a debate about whether candidates will help end family homelessness in America. This goes to the heart of American poverty — and values. You think addressing family homelessness sounds worthy but unaffordable? To put this Obama budget request in perspective, the average annual sum is only about 1 percent of what we were spending in Afghanistan at the peak. I’ve been thinking about housing after reading a superb new book, “Evicted,” by Matthew Desmond, a sociologist at Harvard. Desmond lived as a researcher in impoverished sections of Milwaukee and tells of his neighbors there struggling to find places to live. “Every year in this country, people are evicted from their homes not by the tens of thousands or even the hundreds of thousands but by the millions,” Desmond notes. About one-fourth of all moves by Milwaukee’s poorest renters were involuntary, and such moves disrupt children’s education, make it harder to hold onto jobs and damage the fabric of entire neighborhoods. “Without stable shelter, everything else falls apart,” Desmond says. The system is also dysfunctional. A renter who calls 911 too many times will be evicted, which puts battered women in an impossible situation: They can summon help when they are beaten or strangled, but that may land them out on the street. Liberals who write about poverty sometimes ignore self-destructive behaviors, while conservatives sometimes see nothing else. To his credit, Desmond acknowledges that people on the edge periodically abuse drugs or squander money — he writes about one woman who devoted her entire monthly allocation of food stamps to a grand lobster dinner. But he also emphasizes that it’s not so much irresponsibility that causes poverty as the other way around. And Desmond notes the generosity among the neediest: The woman who bought the lobster used her food stamps in a different month to buy food for a neighbor who was even more desperate. The United States does allocate immense resources to housing. But they go mostly to benefits for homeowners, like the mortgage interest tax deduction. These benefits aren’t particularly effective: Homeownership rates are lower in the U.S. than in Canada, which doesn’t have the deduction. Sign up to receive my emails about each column and other occasional commentary. In comparison to the mortgage deduction, Obama’s request to end family and youth homelessness would cost a pittance. “Compared to the cost of so many things out there, and to the cost of inaction, this is a great deal,” Julián Castro, the secretary of housing and urban development, told me. My friend Khadijah managed to overcome her lack of shelter as a child, but most of the 123,000 kids who are homeless won’t be so lucky. “Housing was once the forefront of the progressive agenda,” Desmond told me, but then it fell off. Today the problem isn’t a lack of solutions, but a lack of political will and a failure to fund programs that work. So let’s ask the candidates: Will you back the president’s budget request and try to end family homelessness? Previous Post: Hilton’s Homelessness Strategy Takes a Turn: What’s Coming Next?